As a leader in RF (Radio Frequency) Heat Sealing / RF Welding - Equipment Sales, Sealing Industries is committed to providing you with the very best to keep your business running strong or make it stronger with improvements. Whether you are a start up company or an established business, we can help you with your production needs. If you are just starting out using RF Heat Sealing / Welding Equipment we can help you. We have over 45 years of knowledge and experience which we pass along. That saves you time and money. 1 to 100 kW Standard & Custom machines are available. These machines are built to last and they do. They can run 24-7-365 with no problems. We have competitive pricing. We also have used RF equipment for sale! Do not hesitate to contact us today for more information about our RF Sealing equipment sales. What is RF Welding, Heat Sealing? RF heat sealing utilizes high frequency power to weld together thermoplastics. During the RF process, RF is created by the equipment and is sent between layers of thermoplastic material sitting in between two RF sealing dies. Then, the electrodes, or dies, are compressed, melting the thermoplastic material into the desired shape and creating a strong bond. RF heat sealing is referred to by many other names, including: RF welding, dielectric sealing, radio frequency welding, custom RF welding, plastic sealing technology, plastic sealing technology, industrial welding, dielectric welding, induction heating, dielectric bonding, electronic heat sealing, dielectric interface, high frequency welding, electronic heat sealing, low dielectric welding, industrial sealing, industrial welding, RF bonding, medical manufacturing, medical radio frequency sealing, PVC welding, package heat sealing, bar sealing, package sealing, high frequency sealing, HF sealing, dielectric heat sealing, HF welding, blister welding, dielectric interface, clam shell sealing and custom RF welding. Regardless of what it’s called, RF heat sealing utilizes the same type of technology to create strong bonds between your thermoplastics. Over 45 years of Experience in the RF Heat Seal Industry! Don Bartholomae is the owner of Sealing Industries & Dielectric Sealing. Don’s interest in RF equipment began at the early age of nineteen, when he began working as an operator at a small bindery company near Chicago. His dedication to his job eventually earned him a promotion to production manager. 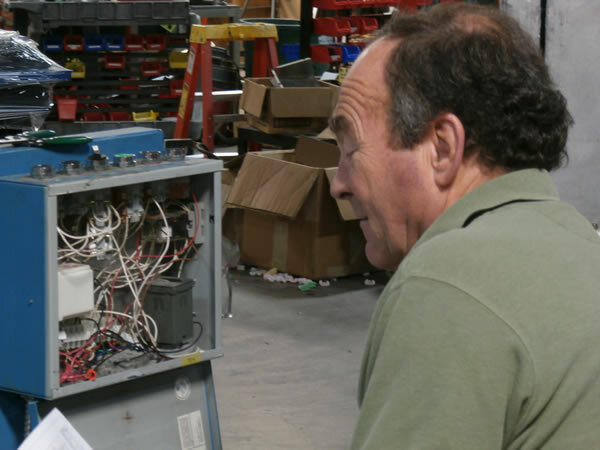 As production manager, Don was personally responsible for maintaining over twenty RF machines of different varieties. By 1974, he had become a sales representative and service technician for the largest RF equipment producer at the time. This position allowed Don to gain the extensive knowledge of RF machinery that continues to grow today, as well as an awareness of the various industries that can utilize RF sealing. In today's market, the packaging, medical, tent and awning and automotive industries are consistent users of RF technology in the manufacture of their products.